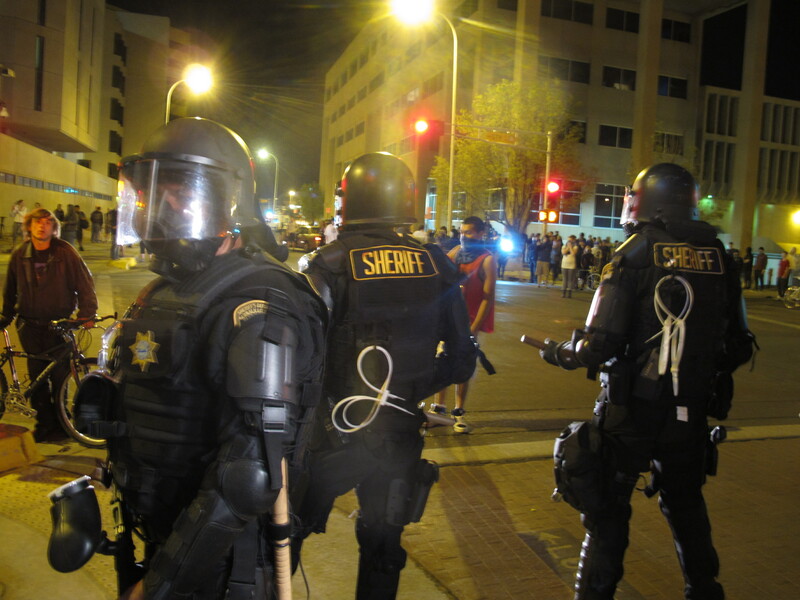 Justice Department: Albuquerque police use "excessive force"
On Thursday, the Justice Department announced its findings that the Albuquerque Police Department (APD) has engaged in a pattern or practice of excessive force. The investigation, which was launched on Nov. 27, 2012 and was conducted jointly by the department's Civil Rights Division and the U.S. Attorney's Office for the District of New Mexico, examined whether APD engages in an unconstitutional pattern or practice of excessive force, including deadly force, as well as any pattern or practice of a violation of the law. The Albuquerque Police Department has faced intense criticism for 37 shootings by officers since 2010 -- more than 20 of them deadly. Critics say that's far too many for a department serving a city of about 555,000. Complaints from local advocacy groups helped launch the inquiry. The findings, which were developed through a review of thousands of materials and hundreds of interviews, were delivered to Albuquerque Mayor Richard J. Berry and Police Chief Gorden Eden Thursday morning. A release issued by the DOJ Thursday said the investigation found three patterns of excessive force used by APD officers. APD officers too frequently use deadly force against people who pose a minimal threat, and in situations where the conduct of the officers heightens the danger and contributes to the need to use force. APD officers use less lethal force, including electronic controlled weapons, on people who are passively resisting, non-threatening, observably unable to comply with orders or pose only a minimal threat to the officers. The investigation also found the police department had systemic deficiencies, including: deficient policies, failed accountability systems, inadequate training, inadequate supervision, ineffective systems of investigation and adjudication, the absence of community policing, and a lack of sufficient civilian oversight. "We are very concerned by the results of our investigation and look forward to working with the city of Albuquerque to develop a set of robust and durable reforms," said Acting Assistant Attorney General Jocelyn Samuels for the Civil Rights Division. "Public trust has been broken in Albuquerque, but it can be repaired through this process," Samuels continued. Acting U.S. Attorney Damon Martinez for the District of New Mexico called the findings "groundbreaking" and said they "provide a blueprint for changing the culture of the Albuquerque Police Department and for rebuilding broken relationships with the community it serves." Although there are difficult and systemic issues to resolve, we embrace these challenges and are very optimistic for the future of the Albuquerque Police Department," Martinez said. The Justice Department said Thursday they plan to cooperate with the city and the APD to resolve the findings. The results come just weeks after a violent protest ensued following the APD's fatal shooting of a homeless man who had threatened to kill officers. The man was gathering his belongings and turning away when officers opened fire, helmet camera video shows. Following the incident, Mayor Richard Berry asked the federal agency to expedite its review and aid in reforms. Scrutiny of the Albuquerque force is one of 15 investigations of police departments launched during President Obama's first term.